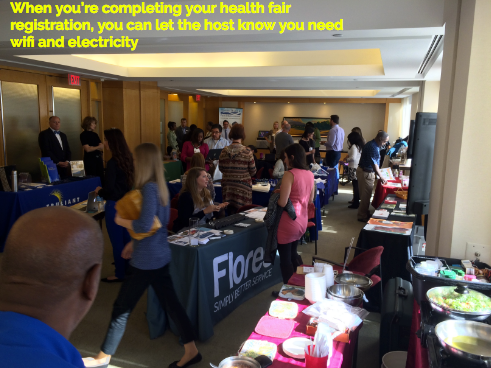 Health Fair Connections | Wifi and Electricity - Can I get it at the health fair? If you express you need electricity or wifi for the health fair during the registration process, it’s a high chance the company will have you at a table with electric hook up and will give you the wifi access (username and password). We ask all health fair host to properly accommodate vendors for their health fair and if they cannot, we give them the option to message all vendors if this is the case.